One of the biggest obstacles keeping flying cars grounded isn’t necessarily figuring out how to make a vehicle capable of flight (hello, helicopters) but rather, designing something that can both fly and drive on the streets. The flexibility of being able to do both is incredibly appealing but physical limitations on both sides of the spectrum impact the ability to efficiently accomplish the other task. That’s where Airbus’ latest concept changes things up. The Pop.Up concept, unveiled at the Geneva International Motor Show, is centered on the idea of a multi-purpose modular pod. Here’s how it’d work. When summoned, a pod-like vehicle would arrive to pick you up and drive you to a nearby flight station. Once there, the “capsule” would detach from the car base and attach to a quad-copter that would then fly to the air station nearest your destination. Upon arrival, the flight mechanism would detach and the pod – with you inside – would reattach to a different car base and you’d be autonomously driven to your destination. The capsule could even work in conjunction with a Hyperloop tube. It is kind of like Uber’s flying car idea except that everything is included (you don’t have to exit the flying pod and jump in and out of a traditional vehicle). 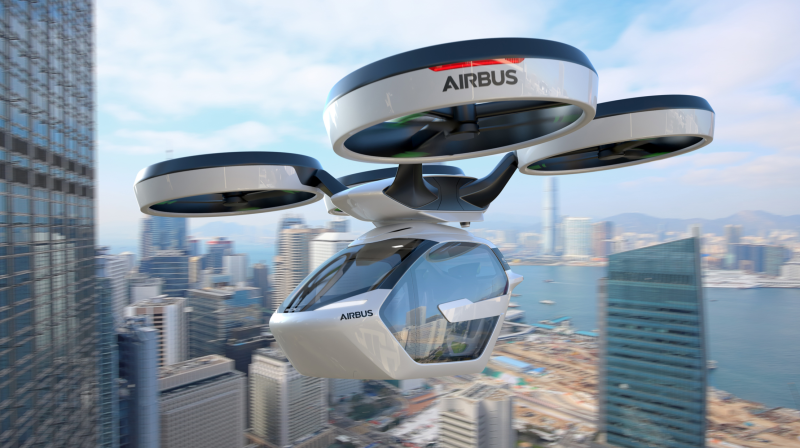 An Airbus spokesperson told CNET that we could see trials of the technology within 10 years or so although battery technology remains the biggest hurdle… well, that, and getting cities on board with the idea of investing in the tech.